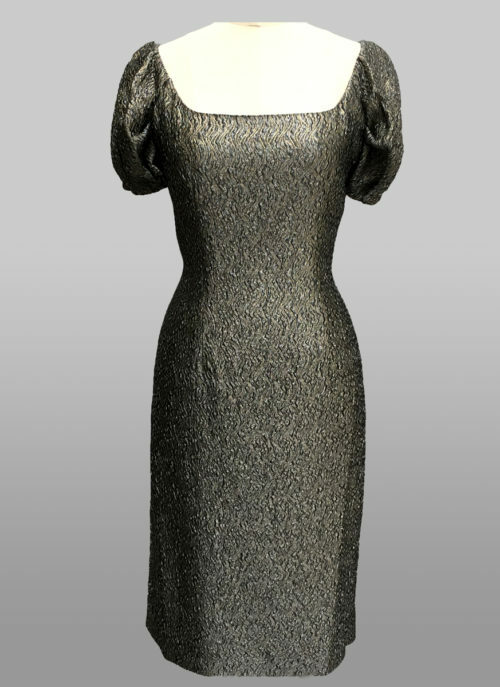 Pop in champagne, this shantung melange v-neck dress is perfect for your next dressy occasion! The ruched waist will define your figure, while the full skirt gives just the right amount of sass. 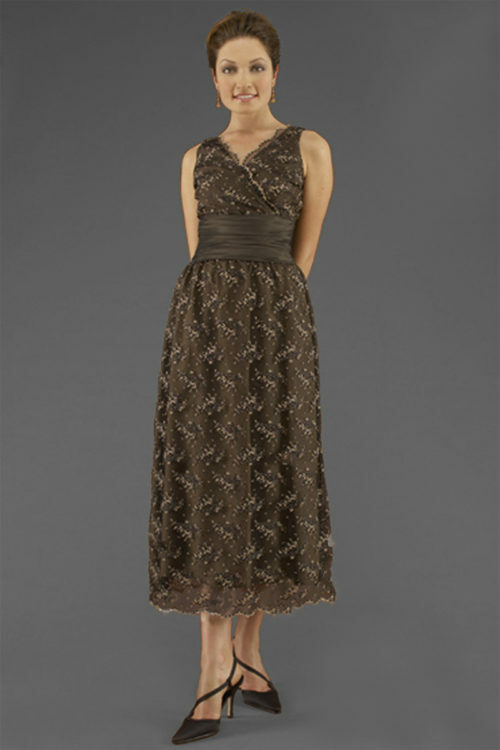 The soft champagne color in Italian Silk Shantung is gorgeous and perfect for a special event! Back zipped.